The 2018 Tokyo Game Show has just concluded, but we were gifted with one last trailer for a video game that has been highly anticipated for over two years now, Death Stranding. Kojima promised everyone a few weeks ago that the game would have a stage presentation at TGS, and he didn’t disappoint. 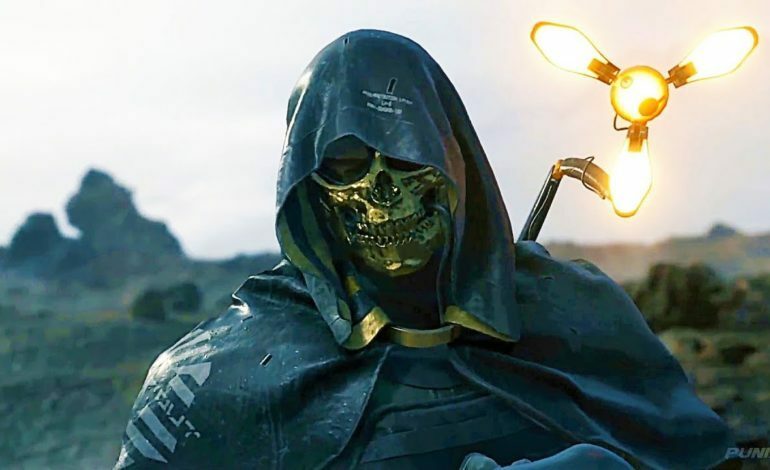 At the end of the presentation, a brand new trailer for Death Stranding was unveiled to the audience, showcasing a brand new character voiced by long time voice actor, Troy Baker, who is known for his roles in The Last of Us and Metal Gear Solid V:The Phantom Pain. However, in typical Kojima fashion, the trailer only created more questions than answers, as the game still doesn’t have a release date. The trailer, which clocks in at just over one minute, shows Norman Reedus’ character, Sam Porter Bridges, walking away from an area when he is stopped by Baker’s character who wears a golden skull mask and is shrouded in mystery. The character appears to be a foil or an antagonist to Bridges, as he taunts him before removing the mask and shoving it into the ground where it gathers “souls” and forms into an enormous dark monster with a golden maw. In addition, another new voice actor has joined the cast of the game, Tommie Earl Jenkins, who has done voice work for games such as World of Warcraft: Battle for Azeroth, Pillars of Eternity II: Dreadfire, and Guild Wars 2. Jenkins will play yet another skull-faced character, although this was only shown in concept art during the presentation. Well, Kojima has done it again. He’s created more intrigue for his pet project, as he continues to add more well known actors to his already impressive ensemble cast. However, as stated earlier, this only caused everyone to ask more questions, as we still don’t even know what the plot of the game is. Regardless, Death Stranding has everyone talking once again, and that’s exactly what Kojima wants. In his grand scheme to create the most amount of hype for a video game, we can’t deny that it’s working. Let’s just hope that at some point, we have more information on the story, and a possible release date.